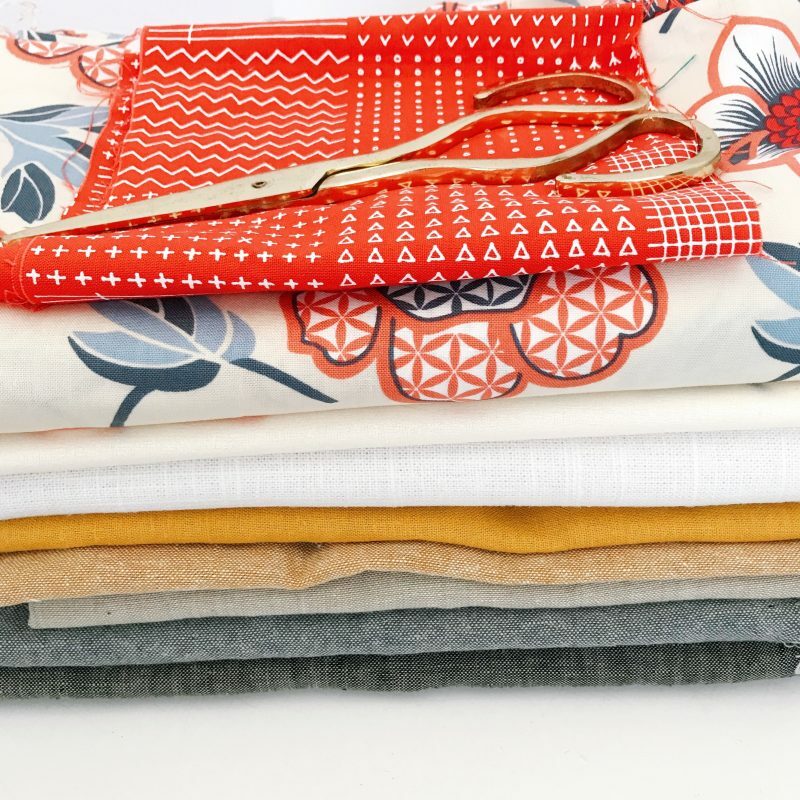 Should we only buy fabric when we need to? I had an interesting bit of feedback on my post about eco-friendly sewing spaces. My first point in that post was that we should buy fabric when we need to. This of course links back to my thoughts on sustainable sewing. I’m afraid I disagree on your first point. I prefer to purchase fabrics when I see them available at charity shops or car boot sales rather than buy specifically for a project. I’m sure you must have been referring specifically to “new” fabric, however the time and resources needed to obtain fabric only when it’s needed may outweigh the ethical credentials of those obtained only when needed. This is a really good point and it got me thinking. I was referring to new fabric; I stand by my point that the sewing community encourages the overbuying of fabric. Of course, I hadn’t considered fabric bought in charity shops or at car boots. How sustainable is secondhand fabric? I hadn’t previously thought about the purchase of secondhand or vintage fabrics. Car boots are not really my thing and my local charity shops never have any fabric in. Consequently I’ve never bought fabrics in either way. I think the principles of secondhand and vintage clothing can absolutely be applied to fabric though. Buying donated, pre-loved, secondhand, vintage or whatever you want to call it means new resources aren’t being used to create something new. Environmentally, that has always got to be a great thing. Is buying only when needed not as ethical as we think? The comment brought up a great point that I wanted to discuss. Could buying fabric only when needed outweigh the ethical credentials of not doing so? It’s true, it absolutely could. I have to thank the lady who commented as I was only considering things from a personal point of view. I am lucky to live in Birmingham; there are plenty of places locally to buy fabric. Those of you who have been to the Rag Market and surrounding shops will know what I mean! It’s always been easy for me to buy fabric without going out of my way because it’s on my doorstep. When I buy fabric, it’s usually because I’m already in Birmingham. I’m not adding to my carbon footprint very often. However, there are sewists who need to make lengthier trips to buy fabric. In this case, making a special trip would add to someone’s carbon footprint. The same applies if ordering online and having fabrics delivered. I agree that if someone is making regular trips to purchase fabric for specific projects, it does outweigh any environmental benefits of not doing so. What is the most sustainable way to buy fabric then? There’s no easy answer is there?! As always, these kinds of things are down to your own judgement. Personally, I still believe that buying fabric “just in case”, hoarding it and potentially never using it is wasteful. The best piece of advice I can really give is to plan out a batch of sewing projects in one go, say for a couple of months and then buy the supplies needed in one shopping trip (or for one delivery). This is my plan for sewing my capsule wardrobe, I’m going to wait until I have enough money to buy the fabric for two or three projects at once and then buy what I need. This way I’m hopefully not tempted by other fabric I don’t really need and I’ll minimise my carbon footprint. It’s been a long time since I’ve been into the city centre but I’m pretty sure that my eco fabric choices are severely limited, so I’ll more than likely be buying online. This approach is a bit like planning meals; I try to plan each week in advance and make a shopping list so I don’t buy things that will go uneaten. It doesn’t always work, but I always have good intentions! I don’t think the goal with sustainable sewing is to be perfect, none of us can achieve that. I think the aim is just to be more mindful of what we’re buying. Back to the original point in the comment about buying from charity shops and car boot sales; I agree, this can be a sustainable source. My only advice here would be to try not to buy just because you have a fear of missing out! 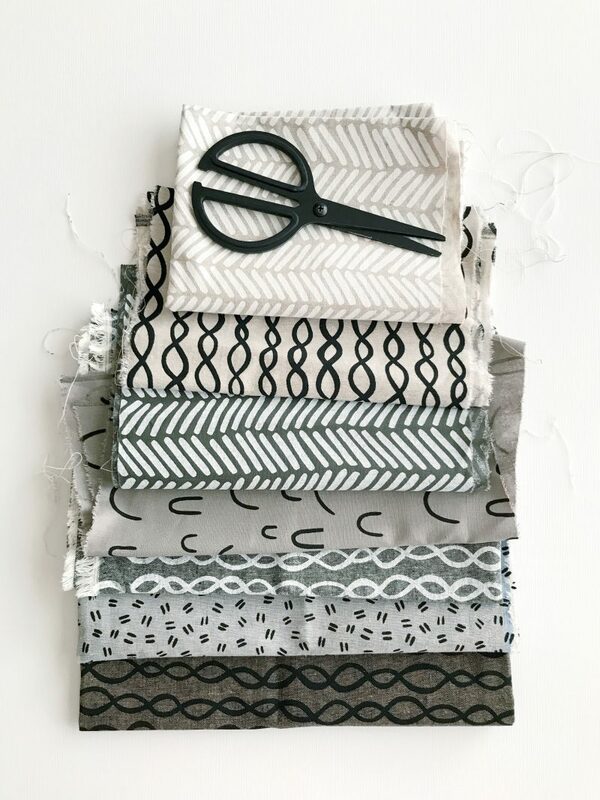 As with purchasing new fabrics aim to buy with a project in mind. I totally agree, finding something in a charity shop may make you think, wow, a bargain, I must snap this up now. But if you never use it, it isn’t sustainable sewing. Mind you, if it goes unsold from a charity shop it can end up in another part of the world (as mentioned in your previous blog) so I don’t think there is a definitive answer. 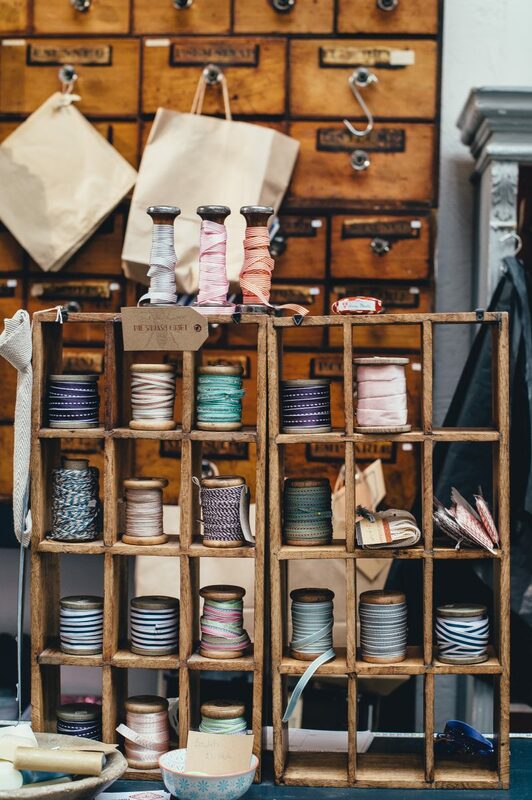 I think if you are going to hoard fabric because you like something you see and think you’ll be able to use it later then it is better if the fabric you get is secondhand or at least as ethically sourced as you can manage …. but maybe you need to set yourself limits and once you hit so much fabric in your stash then put a ban on buying anything new until you have used what you have got. I host a monthly blog linky called Going Green and would love it if you would like to link up. The Oct one is now closed but the Nov one will open on Nov 6th on my blog – A Green and Rosie Life. Thank you. I think setting limits is a good idea. At the moment I’m trying to use up the fabric I have at home instead of buying new; it’s made me realise how little thought I’ve previously put into my purchases!